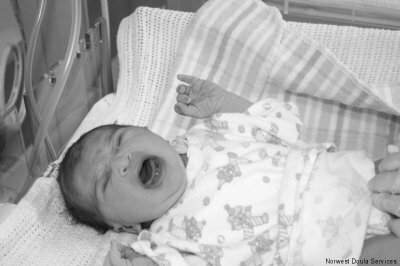 Our first child’s birth did not go to plan due to the cascade of interventions and was quite traumatic. I felt that if I had an advocate this time around, that I would get the best birth possible. This was definitely the case with Trish on board. When my husband and I discovered we were pregnant with our second child, we knew we needed a doula. 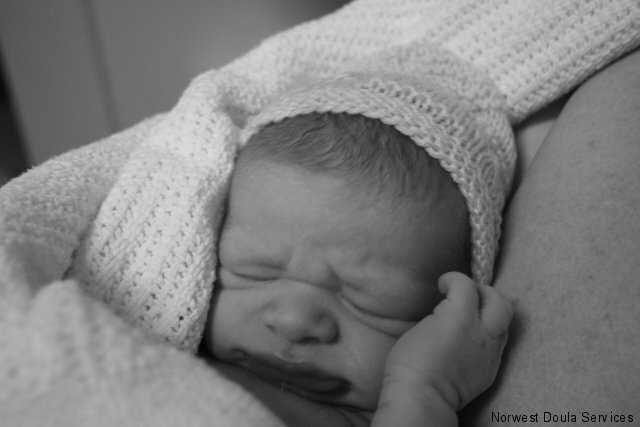 Our first child’s birth did not go to plan due to the cascade of interventions and was quite traumatic. I felt that if I had an advocate this time around, that I would get the best birth possible. This was definitely the case with Trish on board. Trish was exactly the doula I needed. In our prenatal meetings, she was funny and down to Earth, but also obviously passionate and forthright. Her experience shone through and I immediately felt I could trust her. I knew I needed somebody who could stand up for me if required, and it was obvious that Trish would be able to do so. In labour, I felt empowered by both her presence and our preparation. My plan was to have a drug free, unassisted birth, and with her calm strength, as well as the hospital’s excellent midwives and my fantastic husband all supporting me, I was able to achieve that. 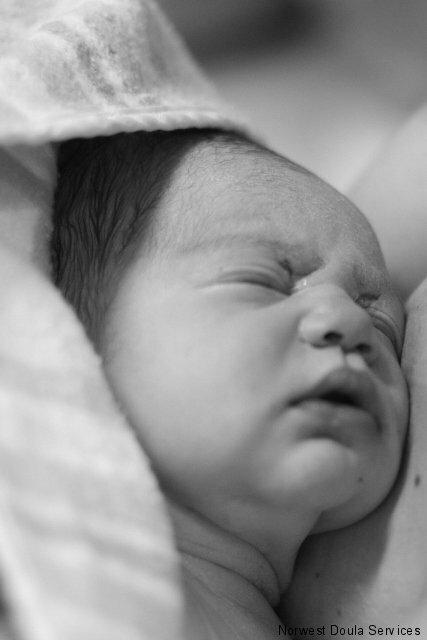 On top of that, Trish took some amazing photos, documenting the birth of our second son. I believe all women need a doula as a support person and advocate during childbirth. Trish is a fantastic doula and I would definitely recommend her to other mothers-to-be. I am truly blessed because I’ve got to welcome my son into this world in the way I always dreamed of – a perfect water birth! And you played a huge part in it! It was truly the most amazing experience of my life that I will always cherish. I would like to use this opportunity to thank you for all your support and help during my pregnancy, labour and postpartum. Having you by my side during the labour was so reassuring. I knew I could switch of my mind and concentrate on the work I had to do knowing that you are there to advocate my beliefs to the hospital staff. It also allowed my husband to just be with me instead of being overwhelmed by all things medical. Your words of encouragement gave me strength when I though I was running out of it. And your calm state of mind reassured me that what was happening was normal even though it was all so new. 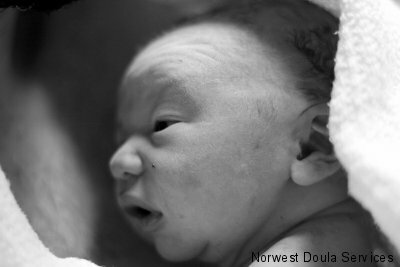 I wish all women had the chance to experience birth with the support of a doula. PS. Thank you for the awesome photos! When I fell pregnant this time around, I knew immediately that I wanted some extra support, I had thought about a doula when I was pregnant with my 2nd child, but never really looked into it, and also I was going Public this time after 2 Private births I was also heading into the unknown with how the system worked, so when I got to about 20 weeks I started on my search for a Doula. I found Trish and made contact to see what it really was all about. Immediately I felt so comfortable with Trish, she was so lovely and had so much info and support to give, even though this wasn’t my first there were things that I hadn’t considered such as cord clamping, different birth positions etc. I thought that my fiancé wouldn’t been too keen on the idea, but seeing as he isn’t keen on the whole labour & delivery thing, he thought it would be a good option for both of us, in hindsight it turned out as the BEST option for me, as my fiancé was interstate when I went into labour and had our son. Every meeting that I had with Trish, she listened to my concerns, fears and feelings about the Labour & Birth and was so generous with her time and knowledge, often texting and emailing me just to see how things were and if I was ok! Trish and I were joking the week that I went into Labour that I had to wait until the Saturday as that would be when my fiancé would be home and plus we both had a busy week with kids stuff at school, so considering that’s when we wanted it to happen, that’s when it wasn’t going to happen. I waved goodbye to my fiancé on 2am Wednesday morning, I had my first contraction 2am Thursday morning! I waited for about ½ hour to see if this was the real deal before calling Trish, sure enough it was the real deal. Trish immediately had me calm but knowing that I was home on my own with my 2 other kids, she made her way over and before I knew it she was here talking me through each contraction and timing them on my iPhone. This was it and Trish was running solo here, my one and only support! Trish and I had put together a Birth Plan, and of course I forgot to pack it in my bag so on making our way to the Birth Unit in between contractions we ran thought it one last time, but Trish knew exactly what I did and didn’t want I think she was just trying to get my mind off the contractions. Once things got going Trish was there every second, every time I opened my eyes from a contraction she had re assuring words or my water or she was keeping my fiancé updated with how things were progressing. Although this was my last baby I have no hesitation recommending Trish to anyone and everyone that is pregnant, I cannot honestly express my extreme thanks for everything and look forward to keeping in touch! She helped my husband to be the best support person ever and her photography skills also came in very handy. I am so happy to have had my dream natural birthing experience thanks to Trish! The very stressful birth of my first child made me realize the importance of having a good support team during birth. 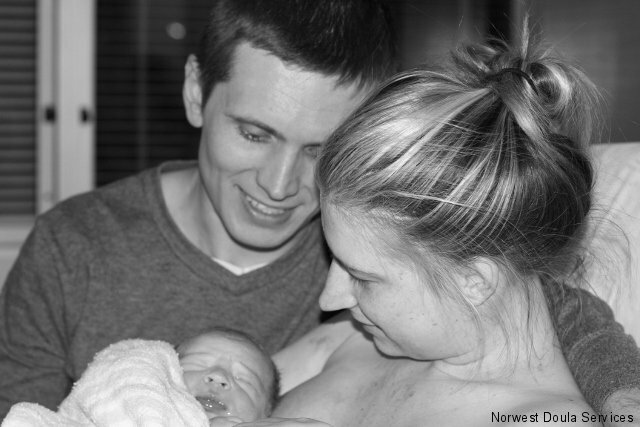 Both my husband and I had no idea what to expect with the birth of our first child. We arrived too early to hospital where I spent three days stuck in a hospital bed. The medical staff induced the labor on the last day as per protocol and I spent the rest of the birth on my back with epidural anesthesia, wires and drips hanging off of me. I felt like I didn’t have a voice or a say in what was being done. 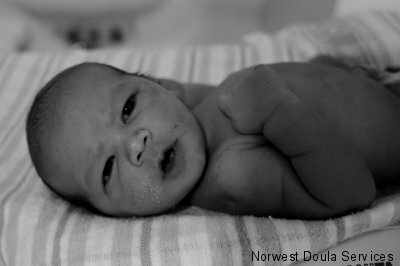 For our second child I knew we had to try a doula and Trish was fantastic! On our first meeting she introduced us to what to expect and gave tips on good positions to try pre-birth to allow the baby into the best position. During the days of early labor she encouraged my husband and I to stay at home and even visited us several times when I started freaking out. It was reassuring to have someone that knew what I was experiencing and could tell me when it was the best time to go to hospital. It was great having her calming, non-intrusive presence there for the birth of our child. I felt at ease, comfortable and her advice and support kept me going on when I felt like quitting. I finally felt like I had a voice as she liaised with staff and made sure my birth plan and wishes were being followed. She helped my husband to be the best support person ever and her photography skills also came in very handy. I am so happy to have had my dream natural birthing experience thanks to Trish! My husband and I definitely recommend having Trish as your doula for the best birthing experience you can have. Steve and I would like to say a big Thank you for all of your support and for everything you did in helping me achieve my VBAC. You helped me to feel confident in my decisions and your presence during my labour helped me to stay somewhat calm and focused! 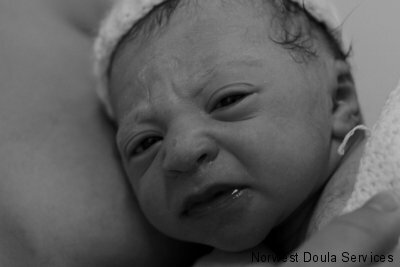 I would not hesitate to recommend a doula to any pregnant friend! This put our minds at ease; especially when my water had broken at midnight, and I was able to speak with Trisha to get her advice on what our next step should be. As first time parents, neither of us were prepared, nor knew what to expect during the pregnancy, birth and what changes a baby was going to bring to our lives. Trisha Cook from Norwest Doula Services supported Scott and I, during this special time in our lives. Trisha made us feel more relaxed and comfortable about our pregnancy and the birth process from our very first meeting with her. Providing us with information, Trisha educated us and offered her advice whenever we had questions; therefore empowering us to make informed decisions throughout the pregnancy and birth process. From the time we engaged Trisha, she always made herself available, regardless of the time. This put our minds at ease; especially when my water had broken at midnight, and I was able to speak with Trisha to get her advice on what our next step should be. As soon as we felt we needed Trisha’s support, she came to our house without hesitation, and followed us to the hospital when I felt it was time to go. Once at the hospital, Trisha supported me by helping me breathe through my contractions whilst being an emotional support to Scott who was finding it difficult to watch me go through the pain of the contractions. Now months on, Trisha continues to check in on our family to see how we all are. It is not often one can say they form a friendship from what was a professional relationship, however in this case Trisha is considered our friend and in many respects like a family member. It was fantastic having that extra support which gave us greater peace of mind. It was also even more reassuring knowing that Trisha dedicated her time specifically to us, blocking out her diary two weeks either side of our due date. Having Trisha present for the birth of our beautiful baby girl Isla will remain a positive experience for us always. We have no hesitation in recommending Trisha to our family, friends or any expecting family who want to be better educated and have the warmth and support that only Trisha can provide. We can’t thank Trisha enough for all she has done for each of us and as a family. When Scott and I decide to have another child we will be giving Trisha a call to engage her services to be there for us once again. Perfect and to the plan are words that generally don’t go hand in hand with birth, especially the first time round, but this is what we achieved with your help. We want to thank you so much for everything you have done for us. We want to thank you so much for everything you have done for us. From the first meeting you listened, you guided and you helped us understand what we needed to do to have our ideal birth. Without your wisdom, information, network of contacts and general calm amazing attitude towards birth things would have been completely different. There are many times myself and Igor could have panicked and changed the experience, but your rock solid calmness and amazing strength kept us going, you were so reassuring, whenever I needed you, you were there and a few tiny words or a look of reassurance was all I needed to keep focused. You are amazing! Even Kitty the midwife gave us 100/100, so you can’t get better than that! Thank you, thank you, thank you again! Thank you for your guidance, information, openness as well as your wonderful calming presence. Words cannot express just how grateful we are for all of the love, support and care you have shown us during this special journey. Thank you for your guidance, information, openness as well as your wonderful calming presence. We are here because of the path you walked with us. My husband and I know that without Trisha I couldn’t do the VBAC. I couldn’t say enough thanks to her. She gave me a confidence and wonderful memory of birth. My labour (include pre-labour) was 3 days long and Trisha was so supportive though those days. She ended up staying in hospital with us more than 27hours until my daughter’s birth. On all those up and downs moment, Trisha whispered encouragement comments in my ear and I could keep going. Honestly, without her support I would have easily went for c-section. For such long hours Trisha was there and she was my solid rock. She knew what to do on every stage and had so much information about hospital and every procedure, I felt so secured and didn’t have to worry about anything else but just focus on my labour. I still treasure the memory of her offering me water with straw whenever I was thirsty and caring me so well after birth until everything is well settled…She was more than my mum or sister. My husband and I know that without Trisha I couldn’t do the VBAC. I couldn’t say enough thanks to her.. She gave me a confidence and wonderful memory of birth. My husband later told me that if we knew Trisha before, we could have a different birth story of our first child. 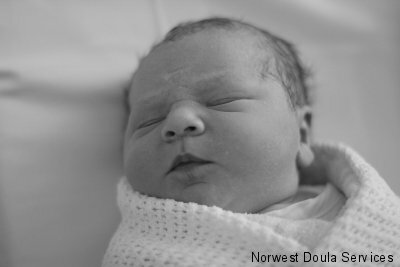 (He was dubious to have a doula but end up having so much help from her during my labour). Trisha, again and again thank you…. All the best for you. It was a relief to have Trish’s constant support. Her follow-up after the birth was wonderful and I will treasure the day my daughter was born forever. I have some great memories. Thanks Trish! Being pregnant for the first time and living overseas it was not a difficult decision to make, to return to Australia for the birth. I sought out a Doula as I had read positive reviews on having a dedicated female support person throughout the birth. More importantly my husband may not be present depending upon when our baby arrived – as it was he had to head back overseas before she was born! Even from initial contact via email I knew Trish had the right personality fit. When we finally met, I found her friendly, informative and supportive of whatever birth plan I wanted. Perfect! I ended up 2 weeks overdue in the middle of a hot summer and Trish kept me laughing with messages of encouragement right up to the big day. During labour she liaised with hospital staff, whispered encouragement in my ear when I was not coping with the pain and kept me focused and comfortable. 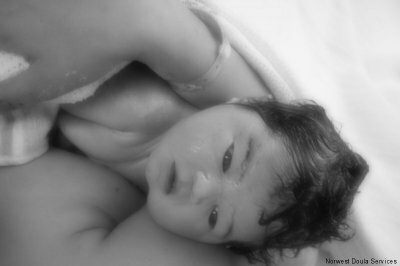 I had chosen a drug-free birth and managed to do this until we discovered my baby was not moving down the birth canal. Despite the birth of my baby girl not going to “plan” it was a relief to have Trish’s constant support. Her follow-up after the birth was wonderful and I will treasure the day my daughter was born forever. I have some great memories. Thanks Trish!